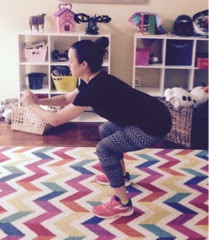 If your summers are getting busy, squeeze in this tabata for some strong legs! I threw in some quick cardio as well to keep your heart rate going. You can visit this post to see how a tabata works. 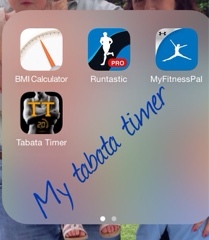 Don't forget your tabata timer! Squats - standing with your feet shoulder-width apart and chest up, sit back and down like your sitting in a chair. Keep thighs parallel to the floor and put your weight in your heels. Stand, squeeze that booty, and repeat. 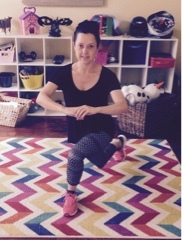 Curtsy Lunge - keeping your torso tight, take a big step back with one leg and cross it behind the other. 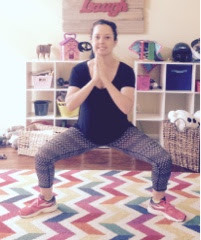 Bend your knees and lower your hips until your front thigh is parallel to the floor. Stand and repeat. Sumo squat - standing with your toes pointed out and feet a few inches wider than your shoulders, lower yourself as though you are sliding your back down a wall. Keep your weight in your heels. Stand, squeeze your booty, and repeat. 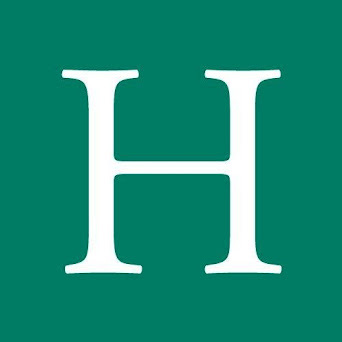 as though you are sitting in a chair with thighs parallel to the floor; hold the position. 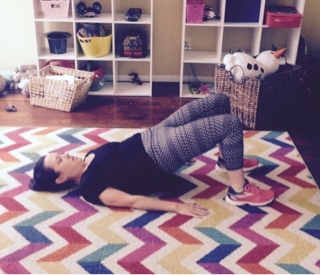 Glute bridge - lie flat on your back and raise your hips by driving your weight through your heels; hold. 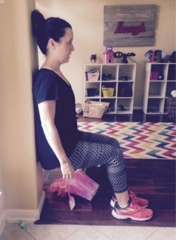 Calf raise - raise your heels and roll onto the big toe; squeeze at the top, release, and repeat. Repeat this tabata depending on your fitness level - 1-2x for beginners and 3-4x for advanced. Did you notice your booty burning too?? Let me know if you have questions! Go get it, fit mamas!